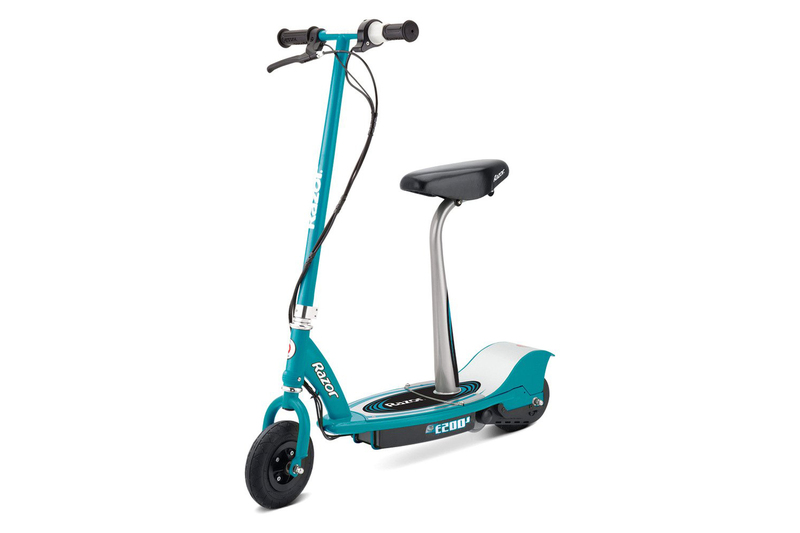 The Razor E200S Kids Moped is a downscaled version of its adult Razor counterparts. It has the same gorgeous design but with a careful modification that would fit the younger but adventurous rider. Based in Cerritos, California, the Razor company combines cutting-edge technology, high-quality materials, and strict safety standards to deliver a product that is designed to suit every rider’s evolving lifestyle. Cool products and great value have distinguished Razor as a trusted brand and industry leader–from motocross and BMX, to snowboarding, skateboarding, and surfing, Razor products are rooted in popular action sports. It’s not how you ride, but how the ride makes you feel. High-performance motor with speeds up to 12mph! 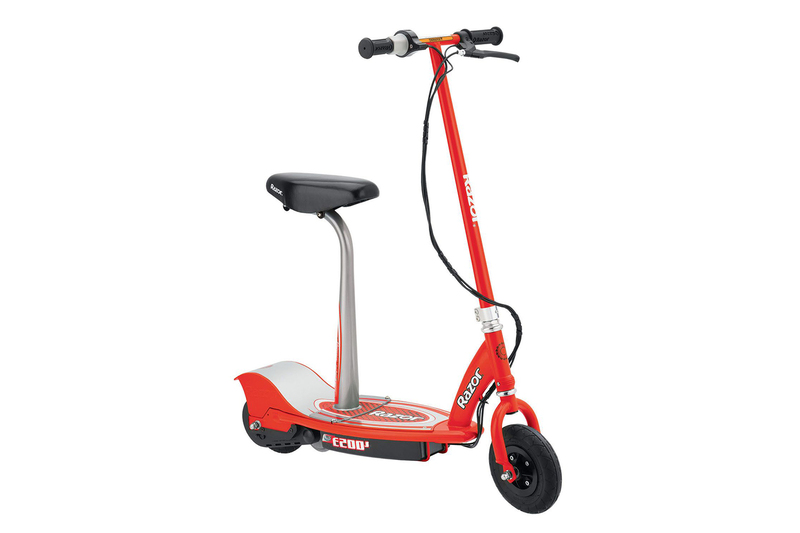 The Razor E200S Kids Moped boasts of a high-torque, ultra-quiet chain-driven motor. It has a handy twist-grip throttle designed for small hands. 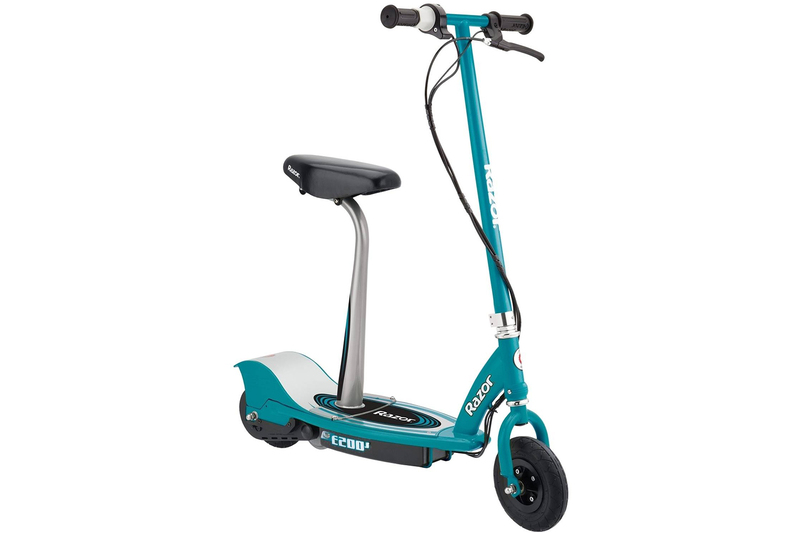 Powered by a long lasting rechargeable 24 V seal battery system, this model comes with a hand-operated rear brake, spring loaded kickstand, large 8-inch pneumatic tires and a removable padded seat. It comes with a UL-approved battery charger plus all the tools needed for light assembly. Initial charge time is 12 hours. The recommended charging time is 24 hours. Run time is 40 minutes of continuous ride time (which may vary depending on riding conditions, climate, and use). 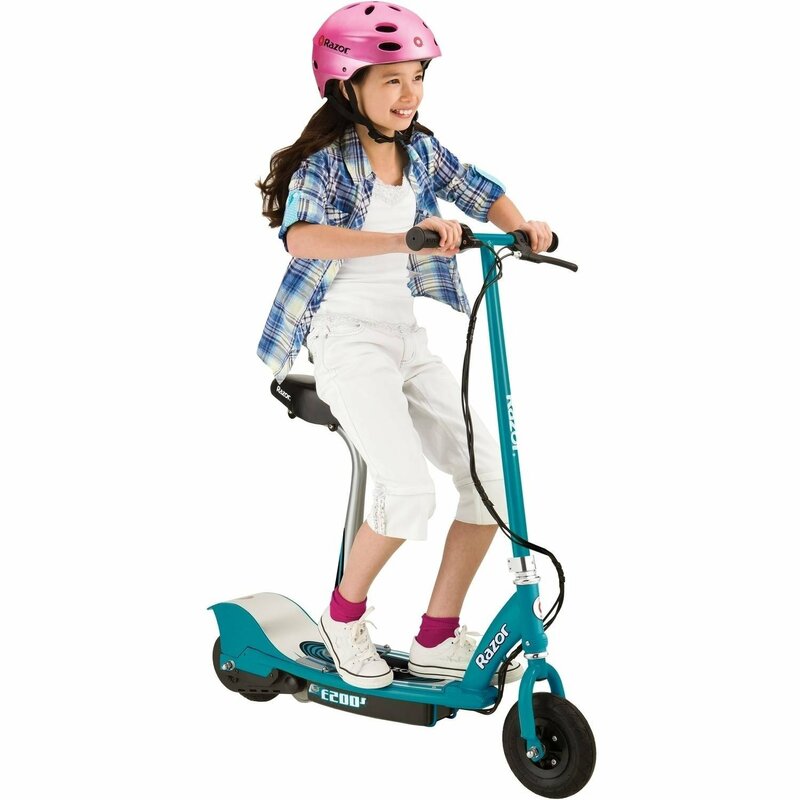 Parents and kids both love the Razor E200S Kids Moped for its design, strength and versatility. The Razor company has a trusted brand when it comes to safety. A hand-operated rear brake is a great feature for the young rider. The removable padded seat adds to its versatility. Kids love to experiment. Riding while seated gives them complete comfort. The seatless, standing version allows them to be a little more adventurous within limits. The 40-minute run time may be short for most, but it’s a plus among parents because this limits play. Eva and Jamie test their new electric scooters. 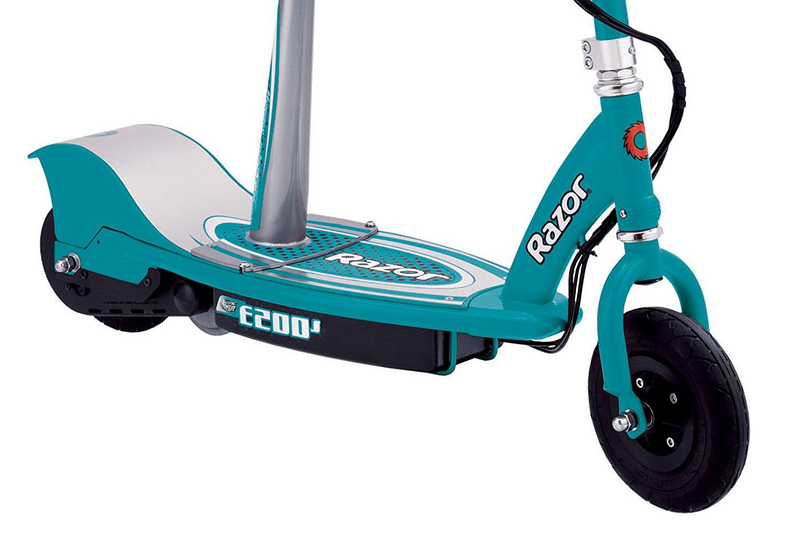 The Razor Scooter E200S Kids Moped is designed for the young Razor fan. It may be kid-sized. But it comes loaded with the same features that make the Razor brand well-loved by enthusiasts! It’s designed for strength, versatility and safety.